Tigers are one of the most popular species of cat in the world and are featured prominently in ancient mythology along with modern folklore. Tiger riddles have been a part of humankind for hundreds of years as civilizations around the world are fascinated by the majestic predator. For the tiger lovers of the world, Riddles And Answers has compiled one of the greatest lists of brainteasers related to the largest members of the cat family. Listed below are primarily short, witty, and funny questions that all relate to these crafty felines. They may not all be at a significant degree of difficulty, but they are certainly good for a fun and engaging time. Check them out below, and enjoy! P.S. Have any amusing or witty questions about tigers to share? Add them here! 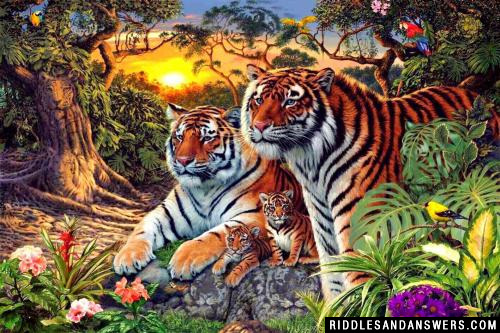 Look for the section at the bottom that says "Post Your Tiger Riddles..."
Can you locate the hidden tiger in the image given above? Look at the stripes at tiger's body. It's written there. How are tigers like sergeants in the army? What did the tiger say to her cubs, when they wanted to go out and play? "Be careful - it's a jungle out there." 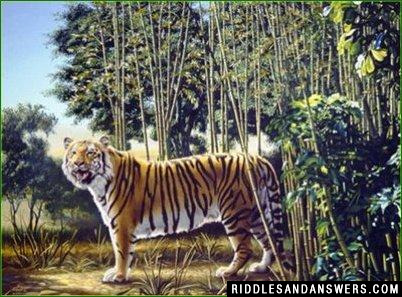 Try to locate the hidden tiger in the image given above? Look at the picture carefully. 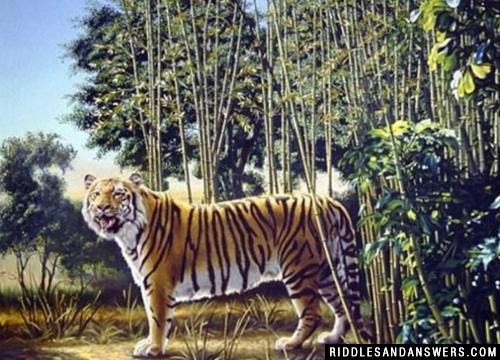 Can you tell the number of tigers that you see in the picture? There are 16 tigers in the picture. Why do tigers always eat raw meat? Because they don't know how to cook. Why don't tigers like fast food? How does a tiger greet the other animals in the field? What do you get if you cross a tiger and a sheep? Who went into the tigers den and came out alive? 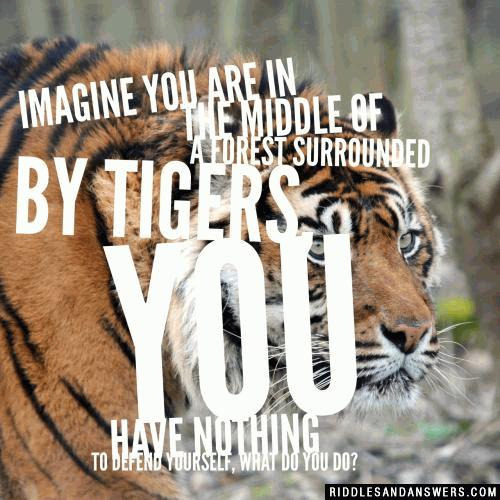 Can you come up with a cool, funny or clever Tiger Riddles of your own? Post it below (without the answer) to see if you can stump our users.